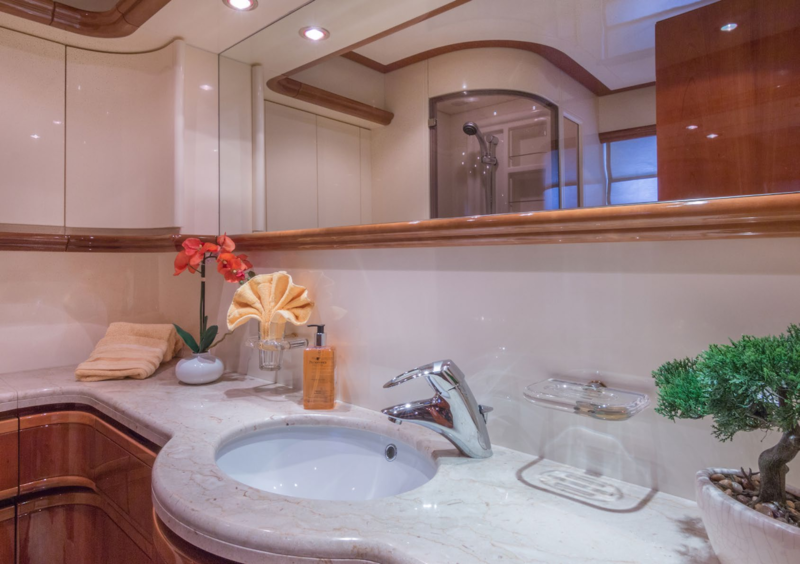 Luxury motor yacht PARADISE was launched in 2004 by the renowned Ferretti Group of Italy and measures 28,7m (94ft) in length. 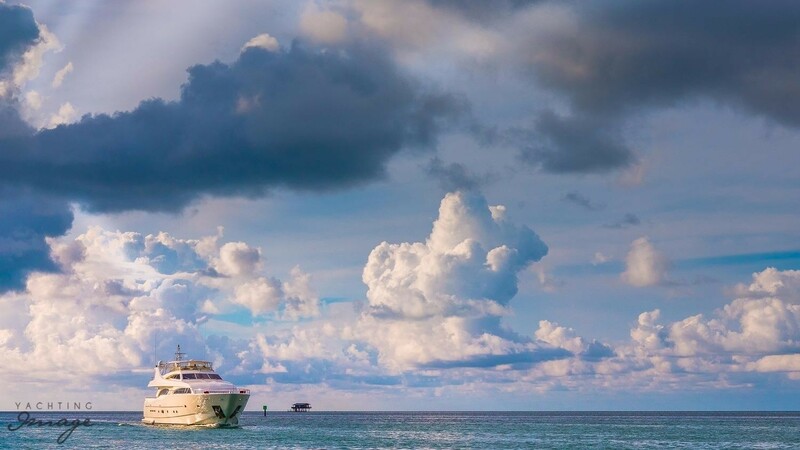 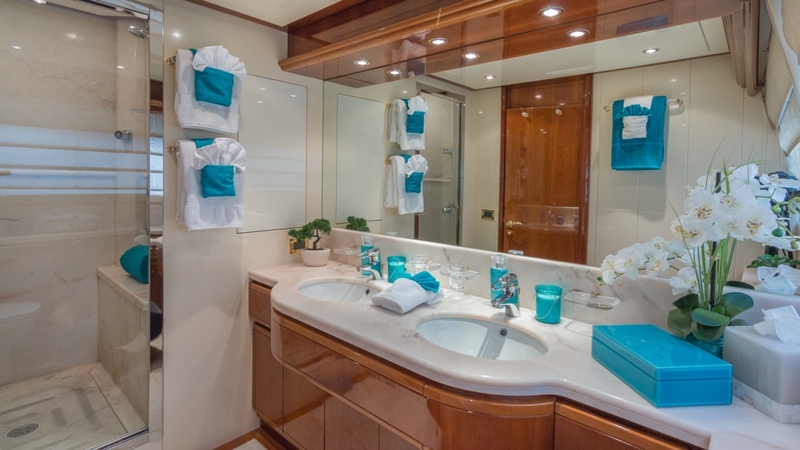 M/Y PARADISE offers elegant and stylish accommodation in 4 cabins, for up to 9 charter guests. 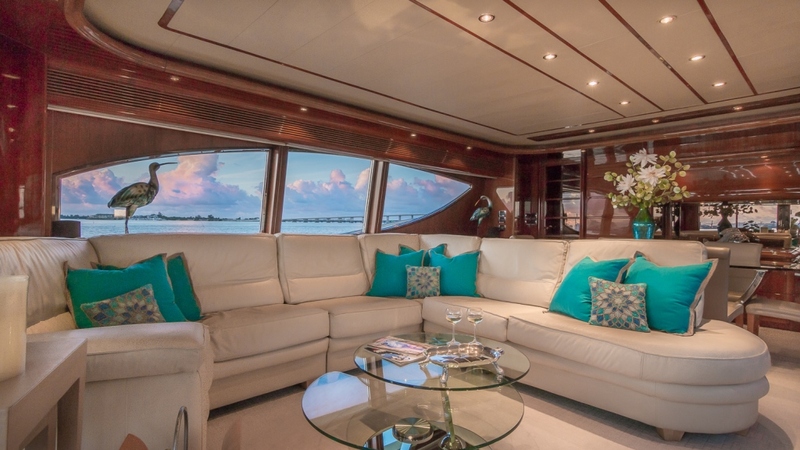 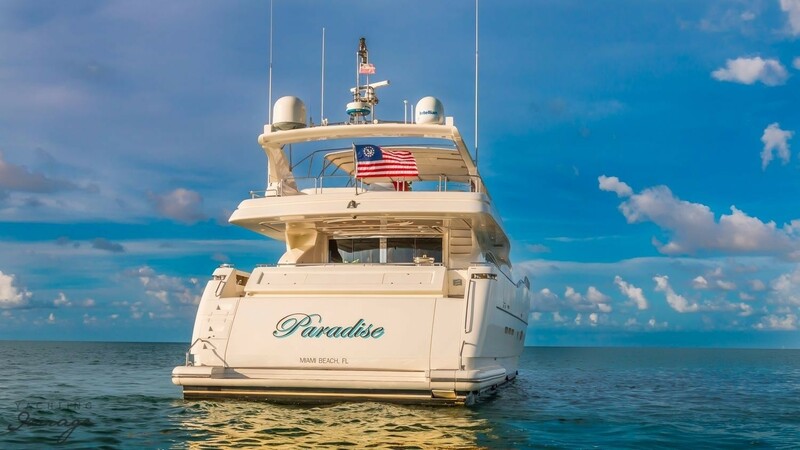 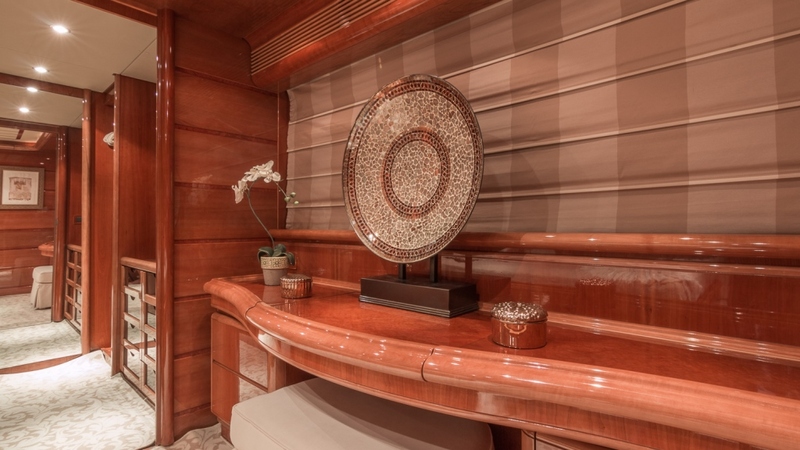 M/Y PARADISE features a contemporary interior décor and warm ambiance. 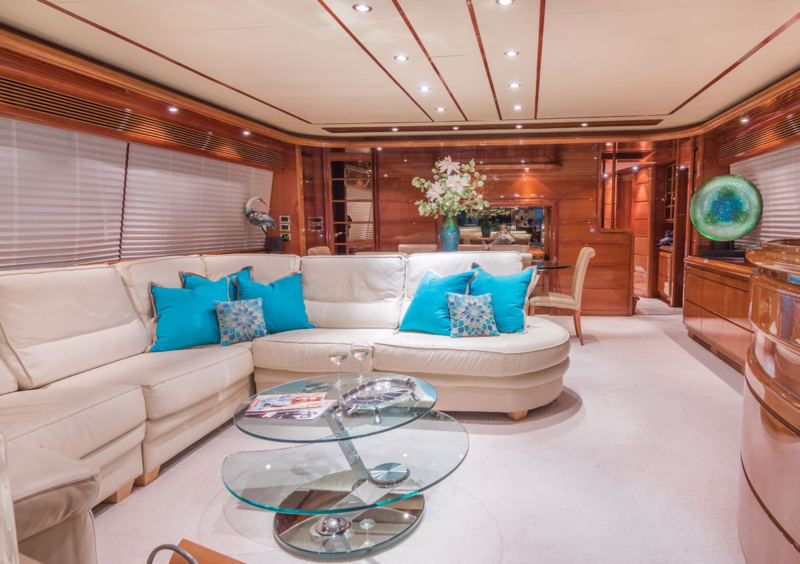 The main salon is an open plan living and dining arrangement, with the spacious lounge aft, and a formal dining table forward. 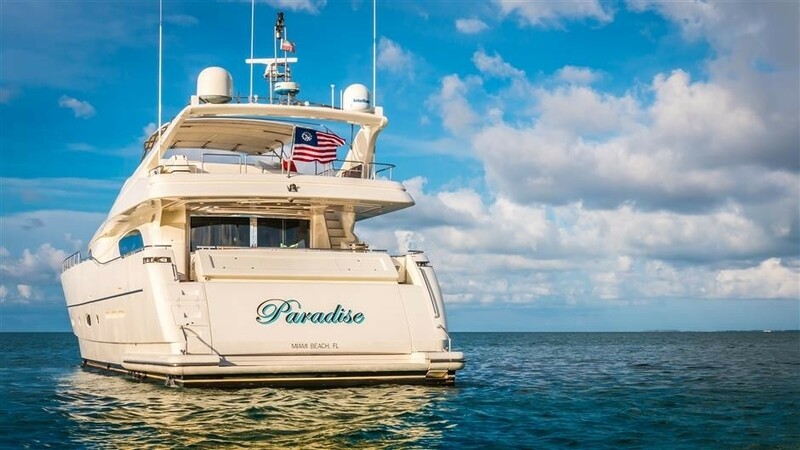 PARADISE’s salon boasts timeless high gloss cherry wood panels, lavish leather soft furnishings, plush carpets and neutral headlining, all surrounded by panoramic windows by day and soft lighting by night. 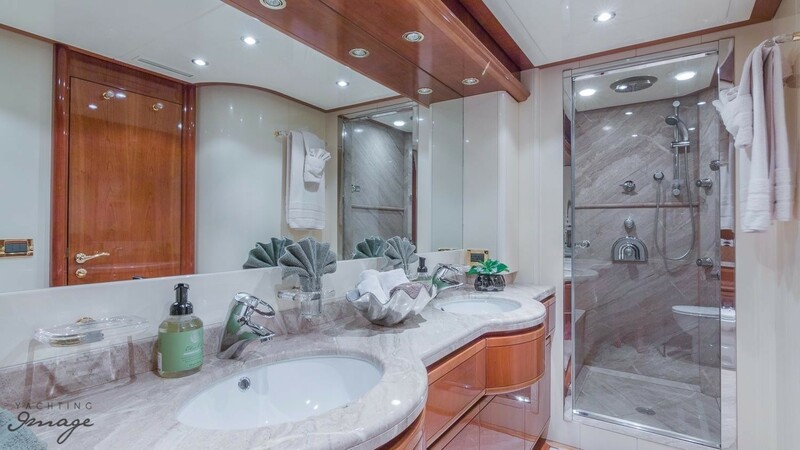 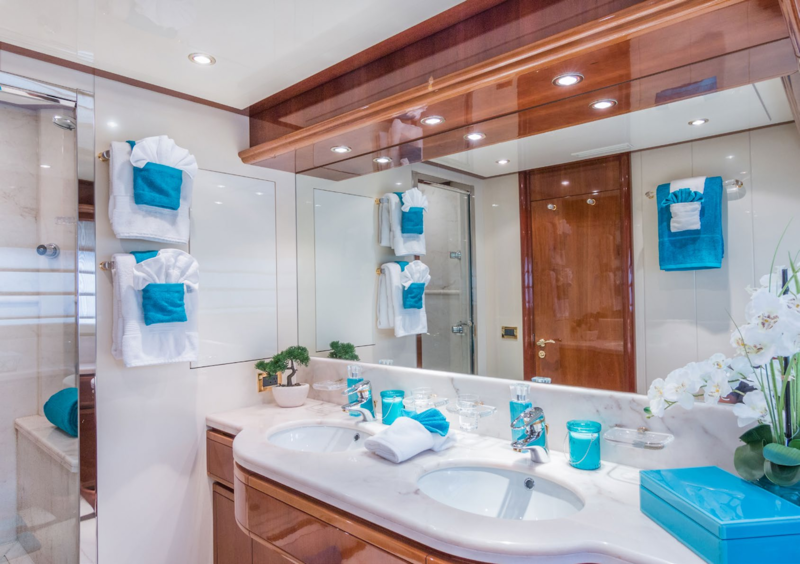 Below decks, 4 stylish guest cabins each have en-suite facilities. 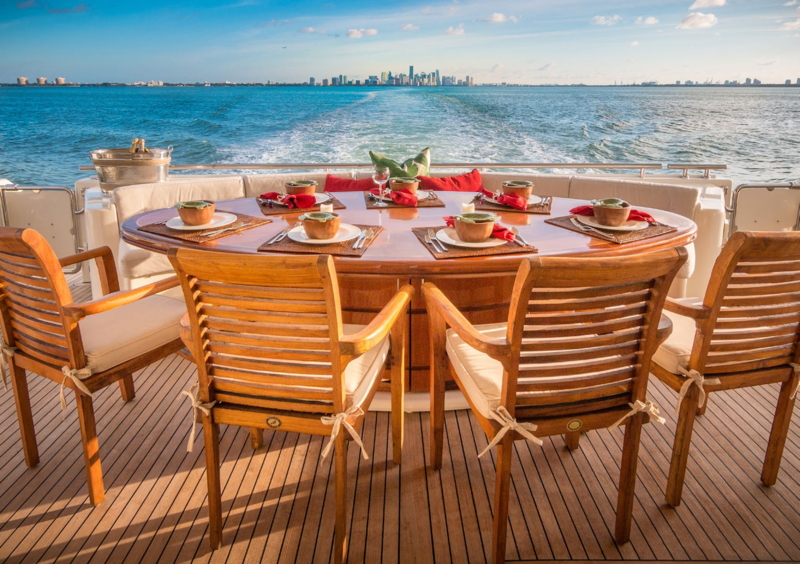 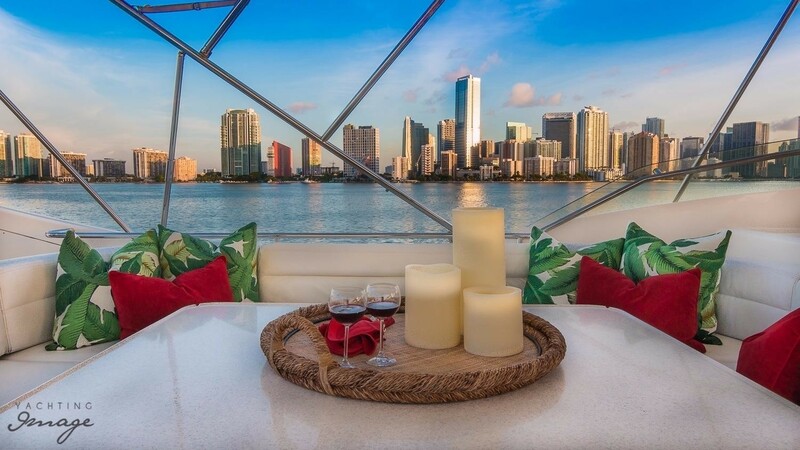 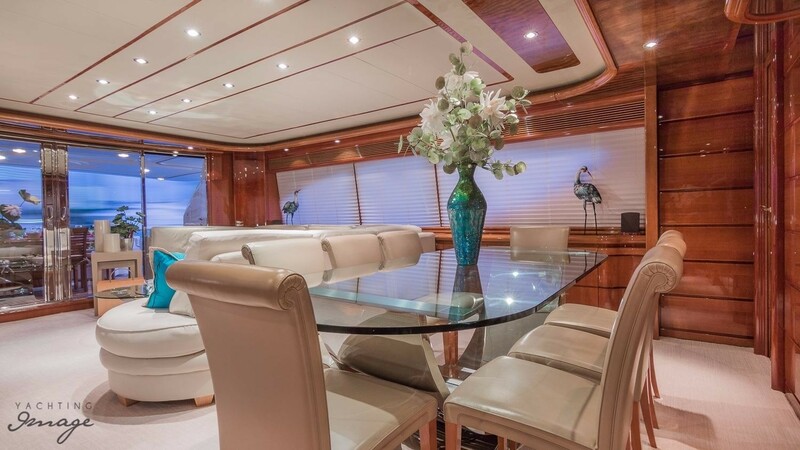 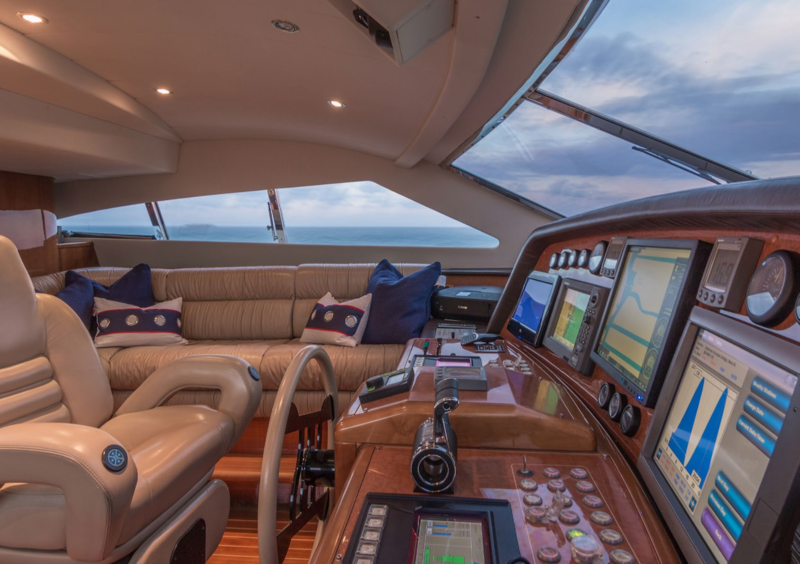 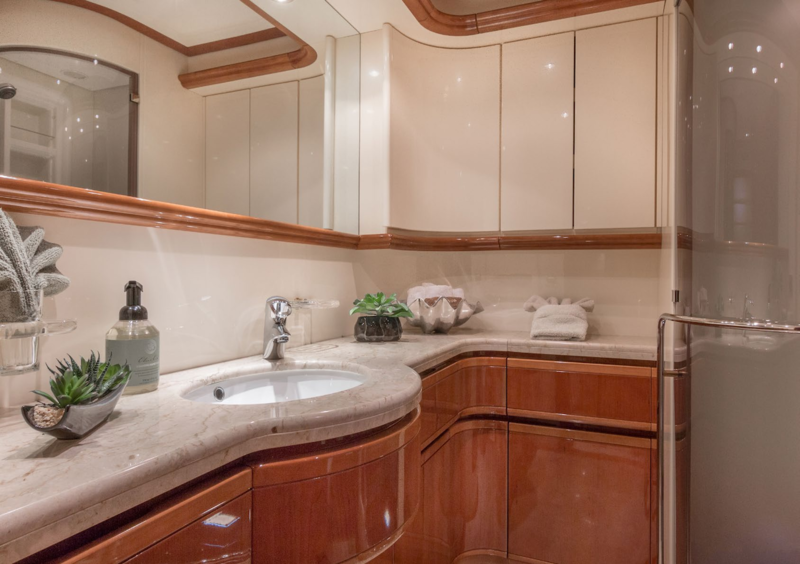 Exterior living on the Ferretti 94 PARADISE is generous. 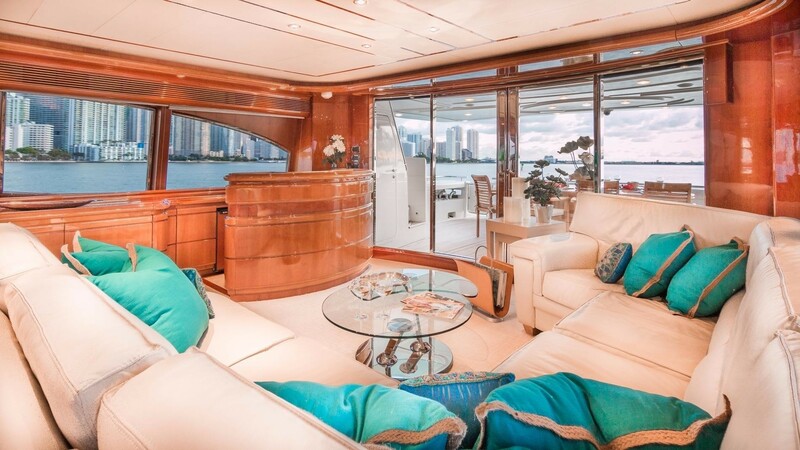 Adjacent to the salon, wide glass doors lead onto the shaded aft deck and an alfresco dining table. 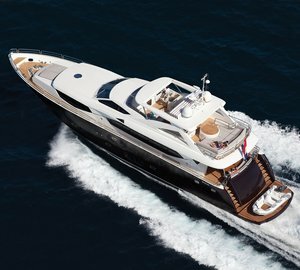 Further aft, steps down give way to an extended swim platform and teak beach, ideal for the active water enthusiasts, or to simply enjoy the tranquil surroundings, with an evening cocktail. 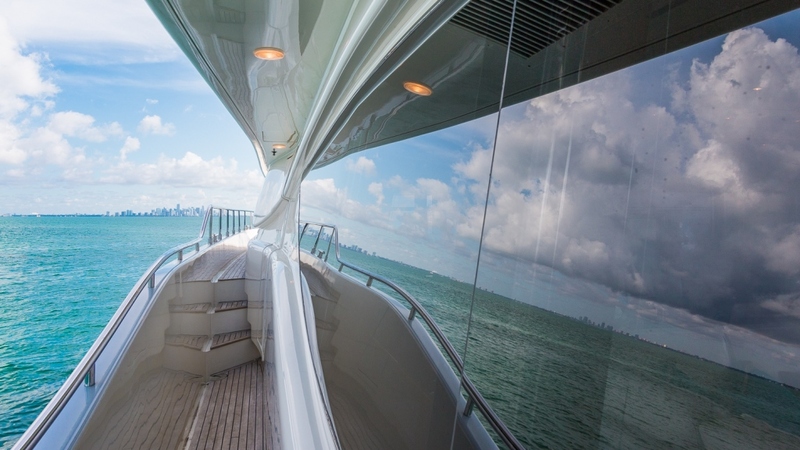 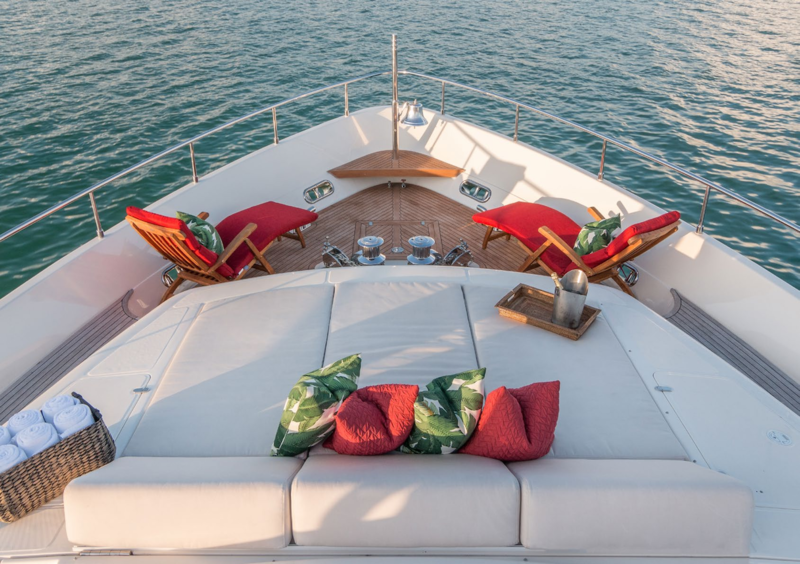 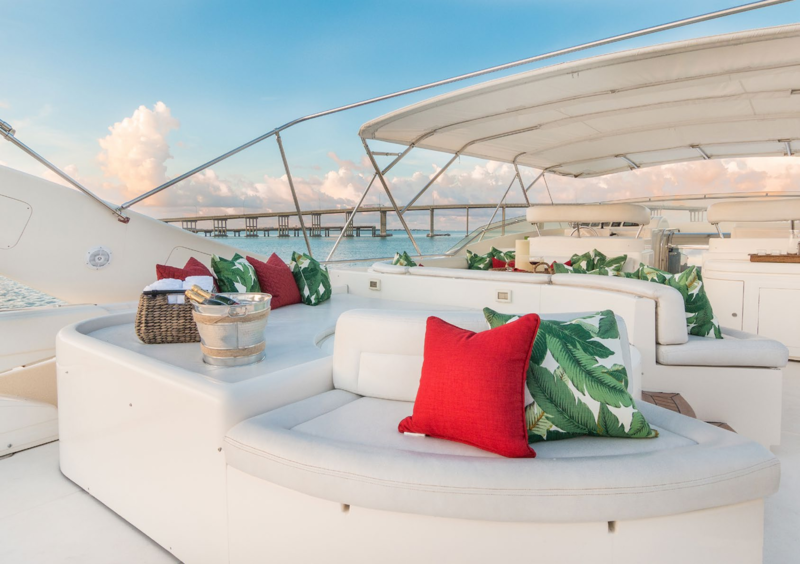 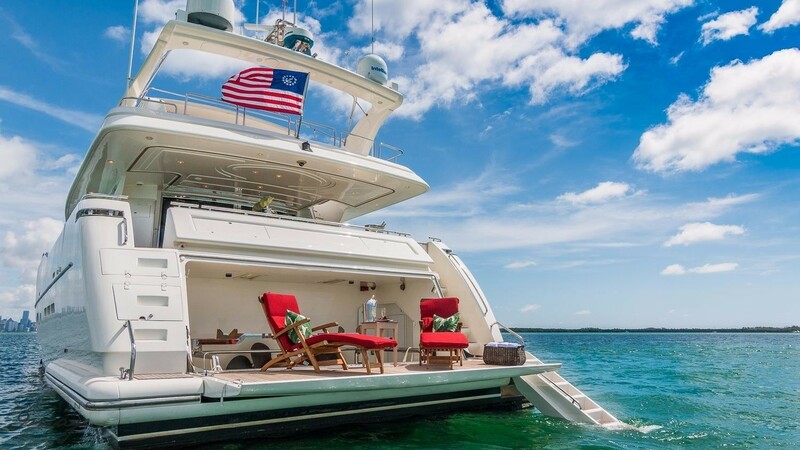 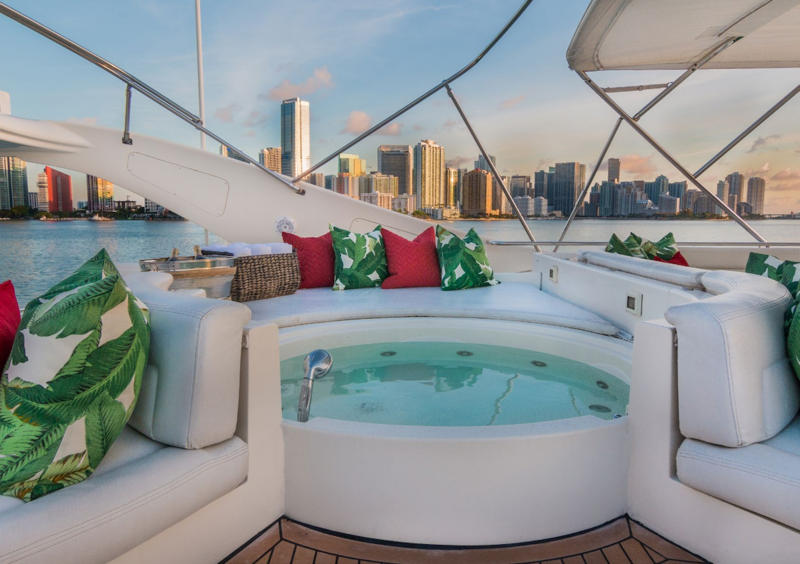 360° wrap around decks leads forward to a capacious foredeck and perfect sunning area, complete with sunpads and seating. 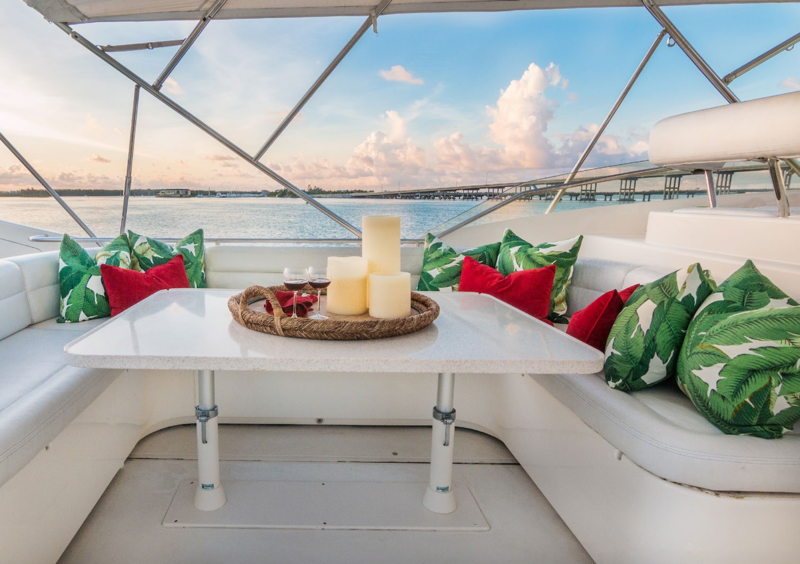 The upper deck is well-appointed, offering an alfresco dining table, supads, seating, optional shade and deluxe Jacuzzi tub. 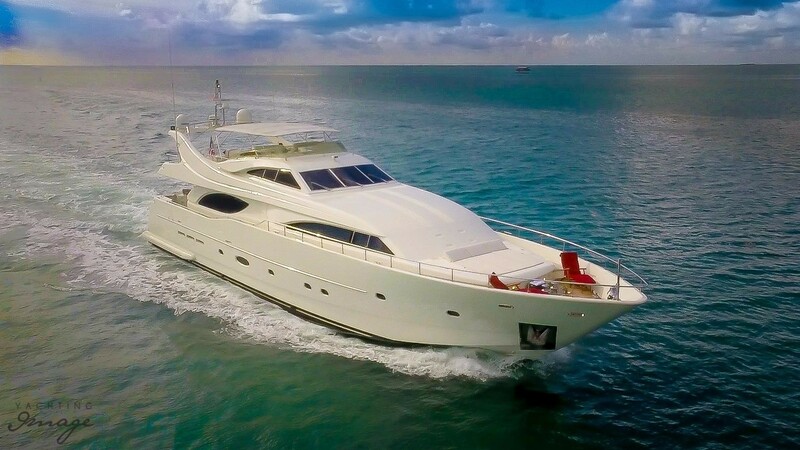 Powered by 2 x MTU engines boasting 2000hp, motor yacht PARADISE cruises at 20 knots and has top speeds of 24 knots. 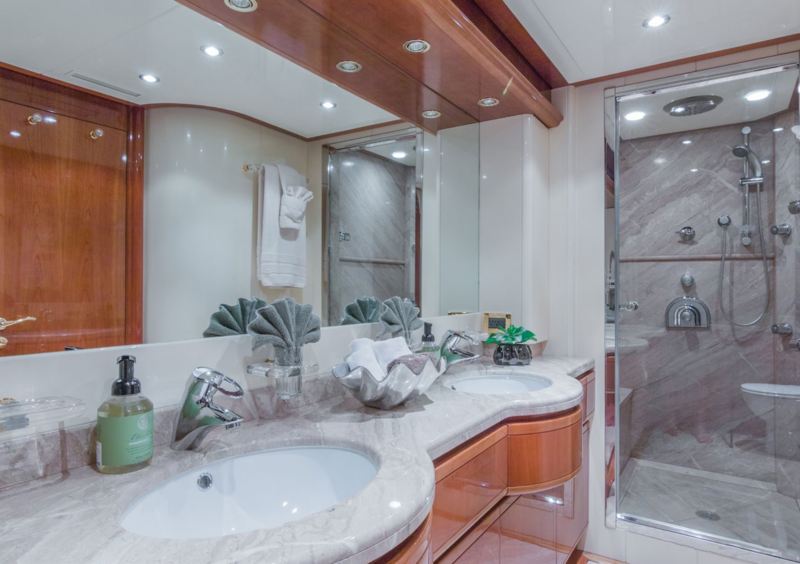 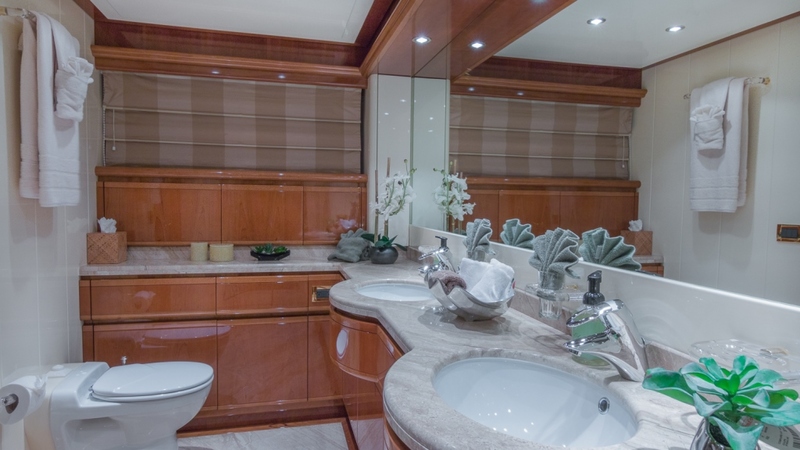 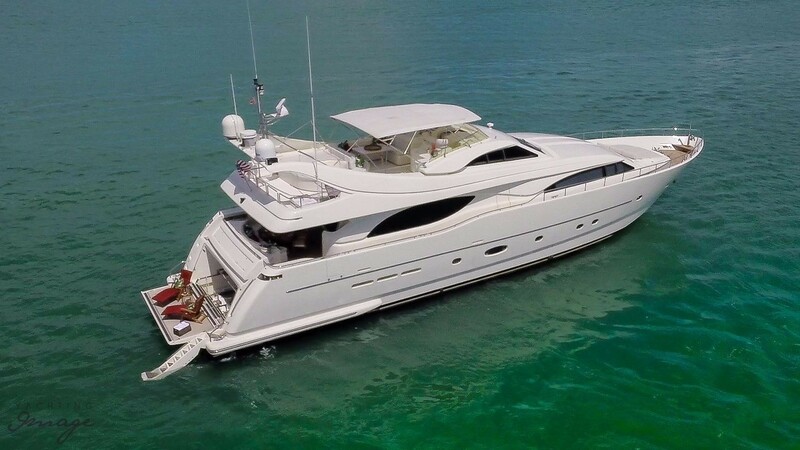 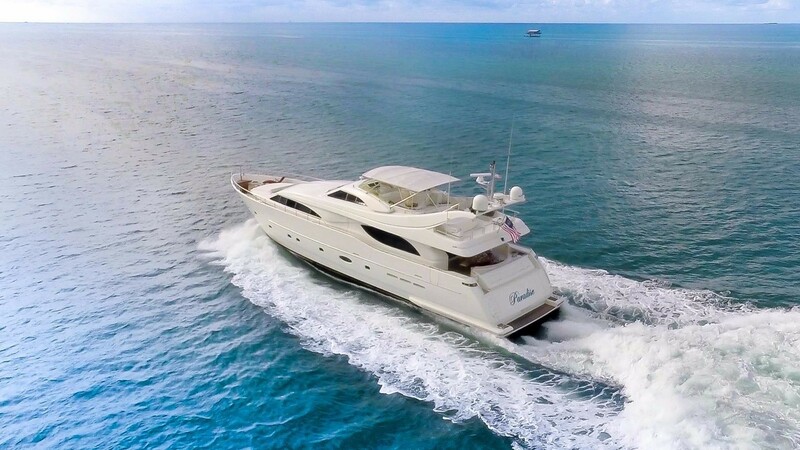 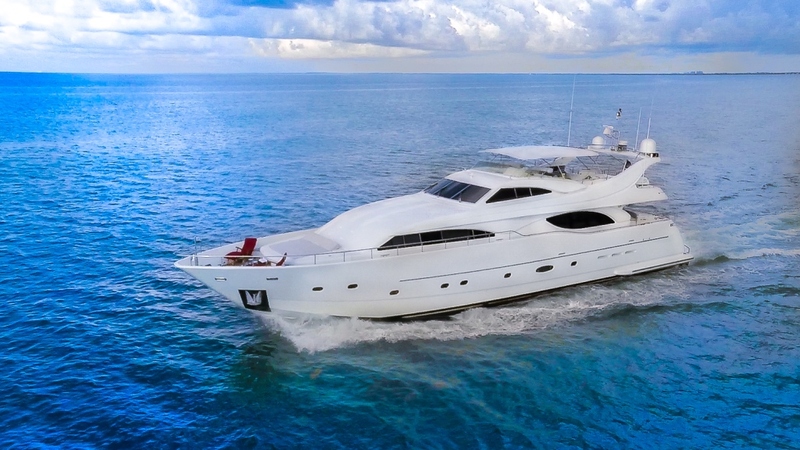 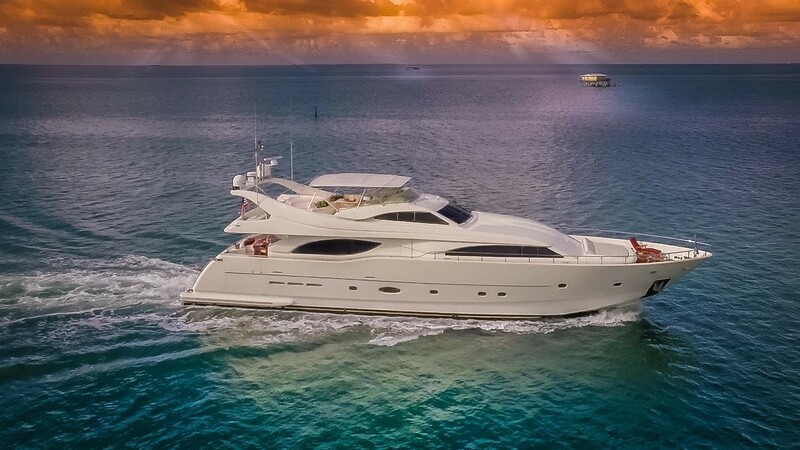 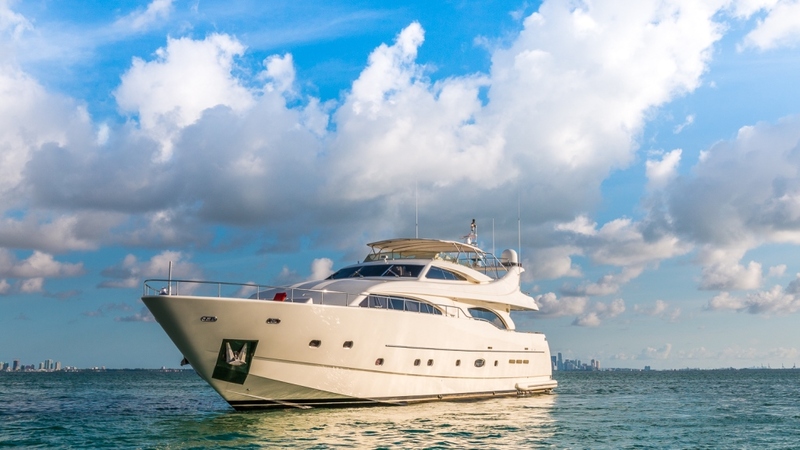 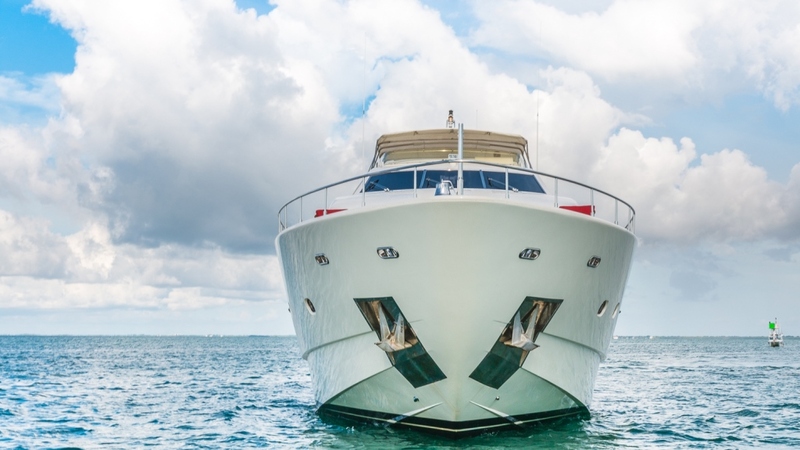 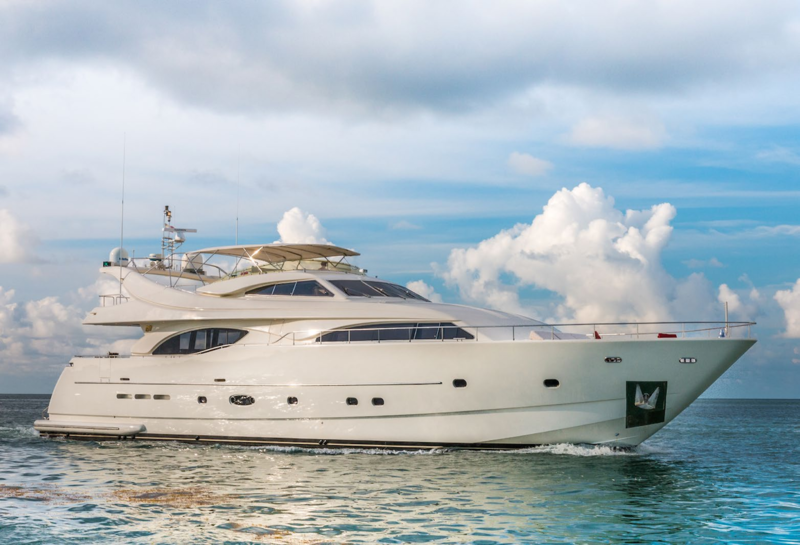 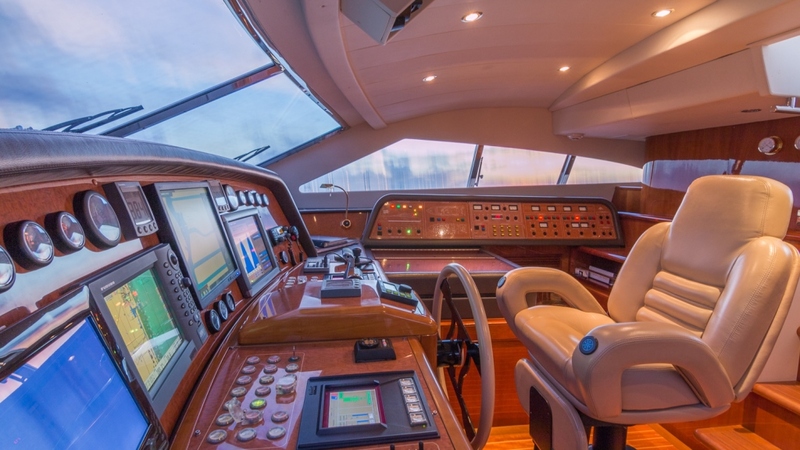 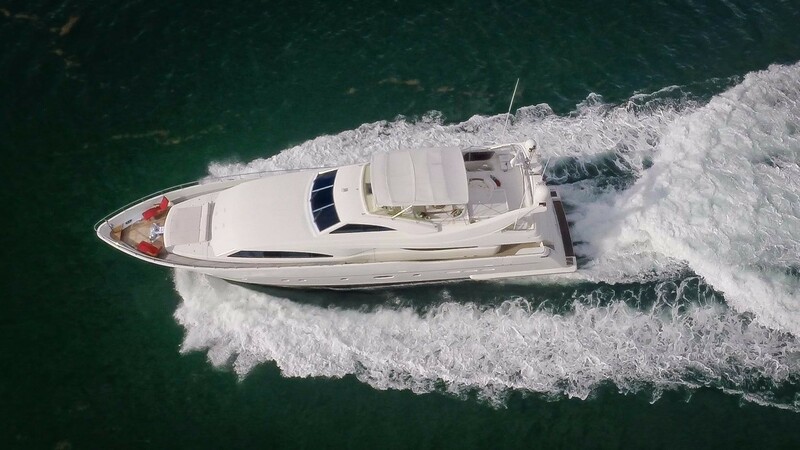 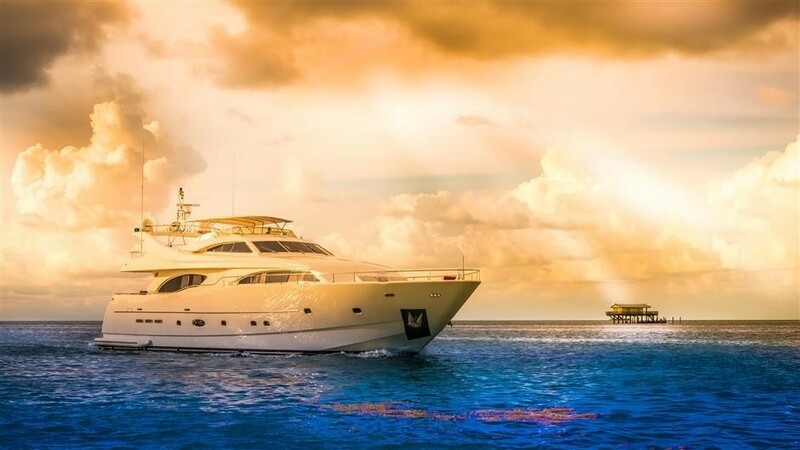 Luxury Ferretti motor yacht PARADISE offers accommodation in 4 en-suite cabins, for up to 8 charter guests. 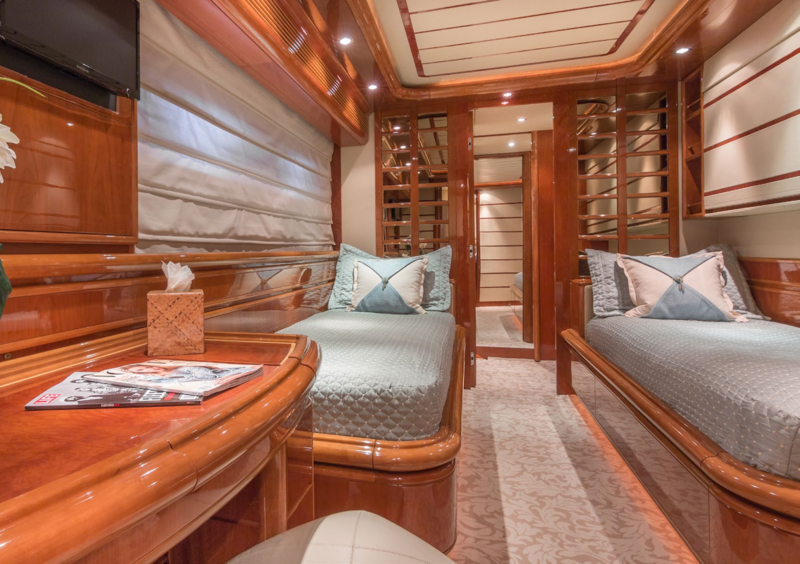 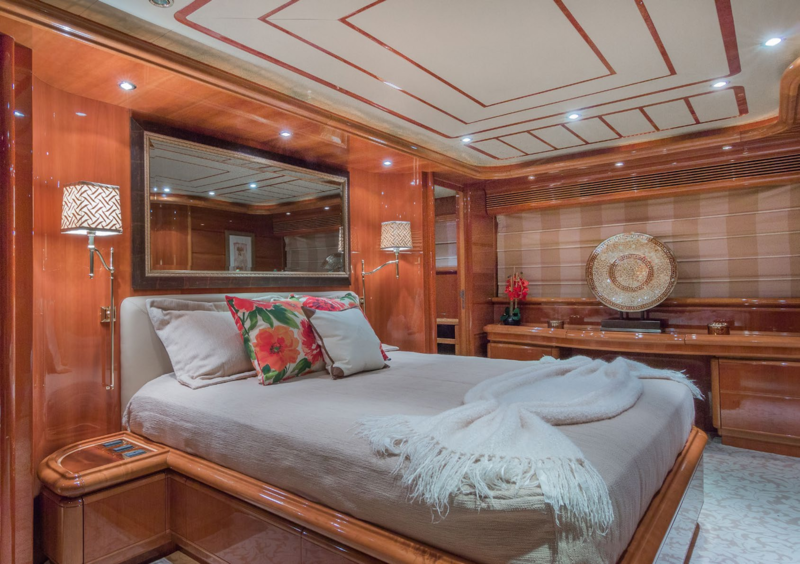 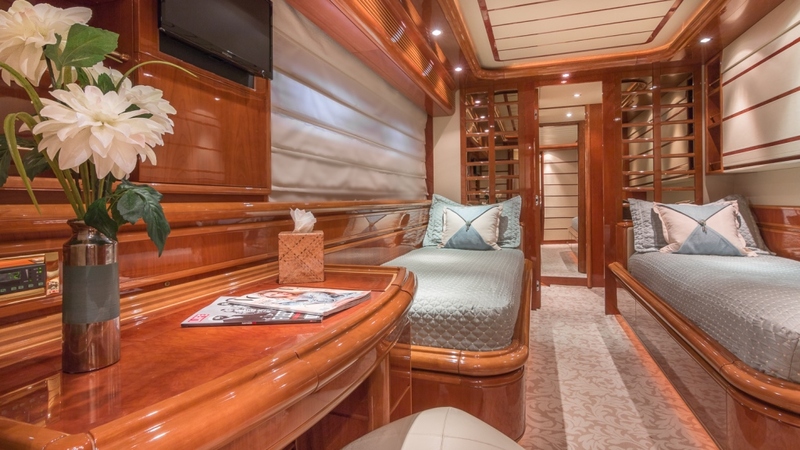 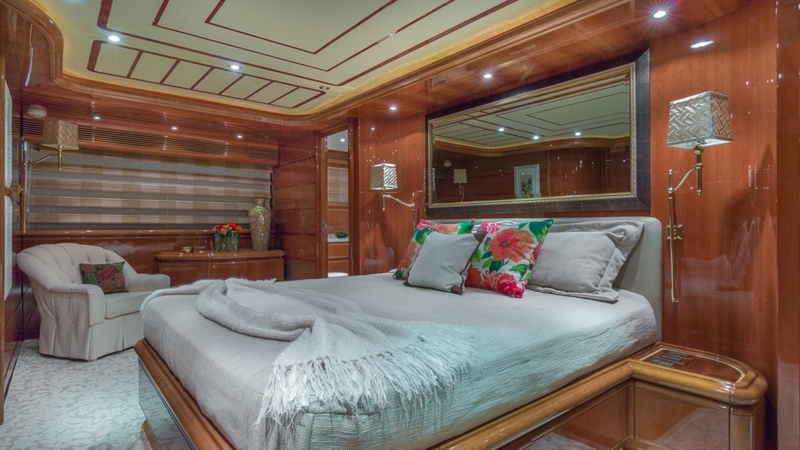 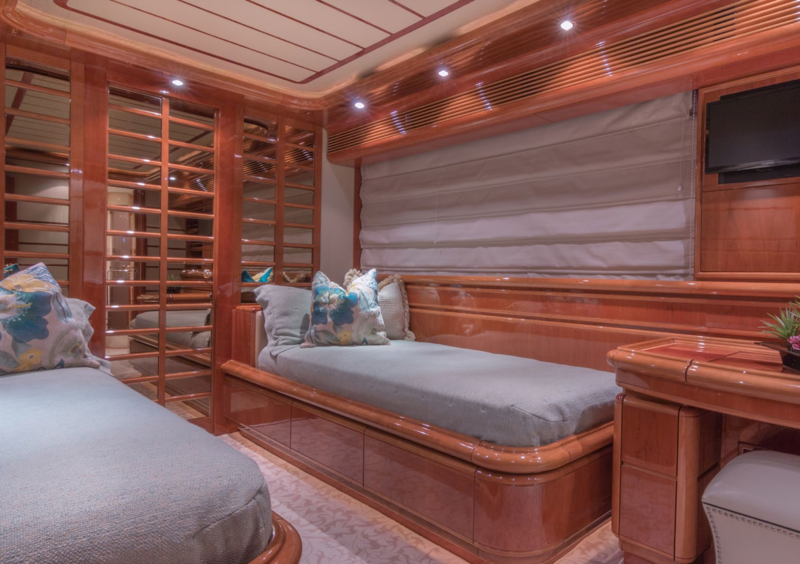 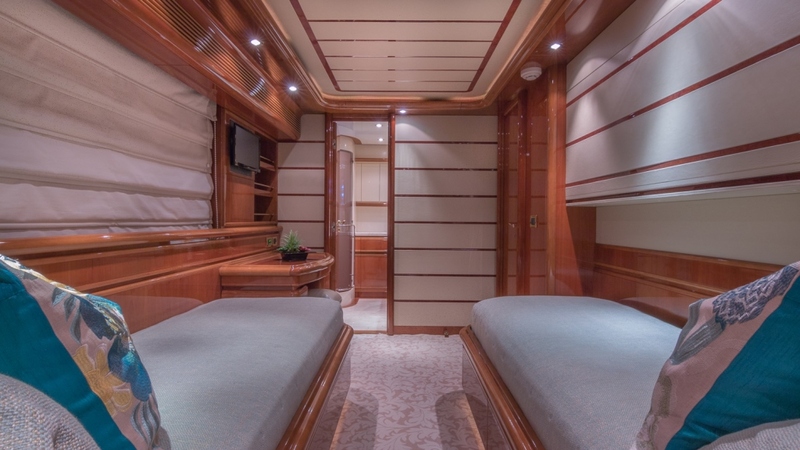 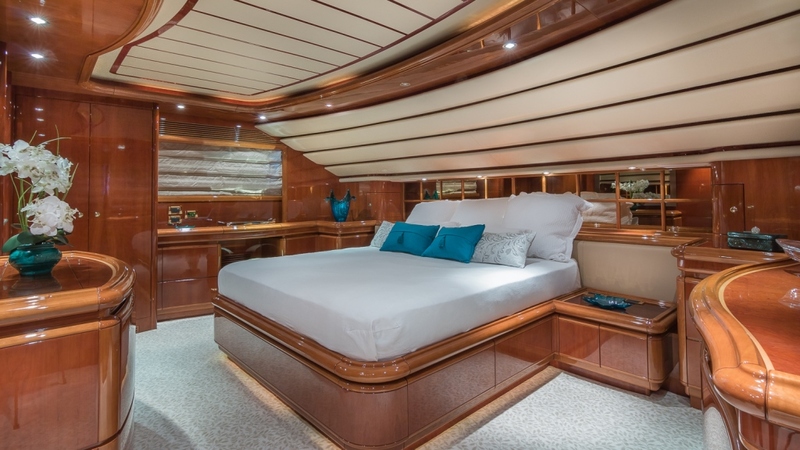 The master suite is amidships with a center lined king size bed, seating and vanity. 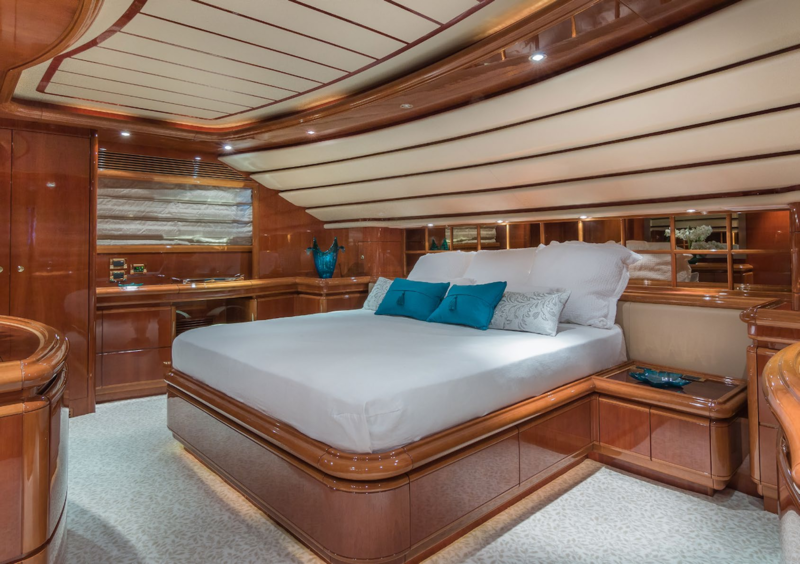 Forward of the yacht is a full beam VIP suite, offering a center lined queen size bed. 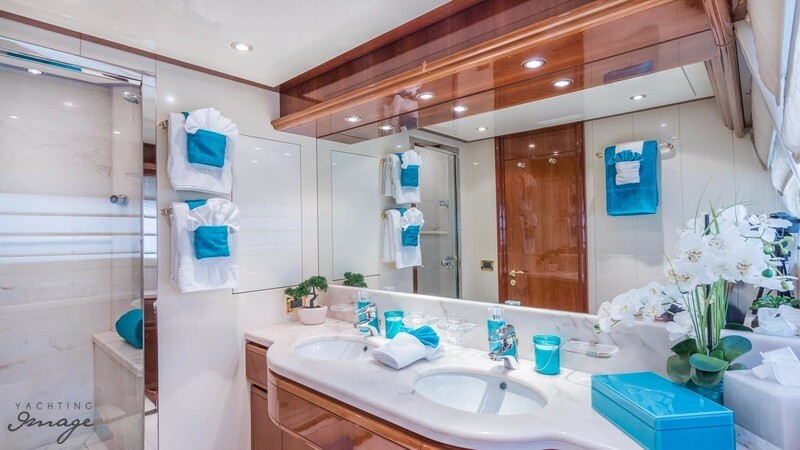 Two guest cabins each have side by side single beds, one of which boasts a Pullman berth for a 9th guest.